The DotCom Crash left Darleen unemployed and very uncertain of finding secure work. 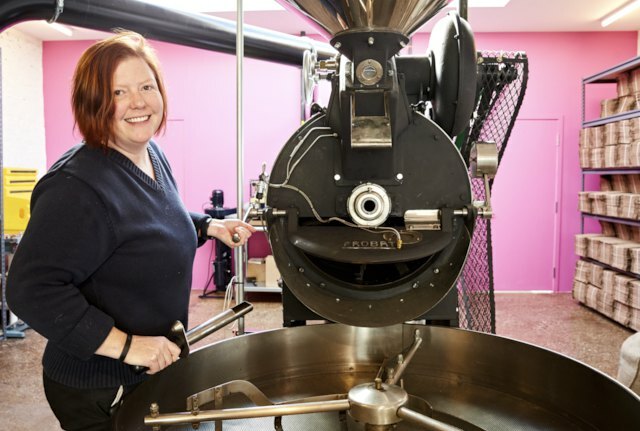 She took her savings and passion for excellent, transparent and sustainable coffee to Park Slope, Brooklyn to create Gorilla Coffee which became one of the most successful micro-roasteries on the east coast and laid the foundation independent coffee shops in Brooklyn. Two years ago Darleen took those same values and started from scratch once again to open Supercrown Coffee Roasters in Bushwick, Brooklyn. Brooklyn Bushwick coffee coffee beans coffee roasting coffee shops Darleen Scherer espresso Gorilla Coffee Patrick McAndrew single origin Supercrown Coffee Roasters Why Food?